"Excellent service from Innovative Basement Systems." By Adam & Hollie S.
" Hi Dan, Thanks for taking such good care of..."
"Great experience working with IBS. 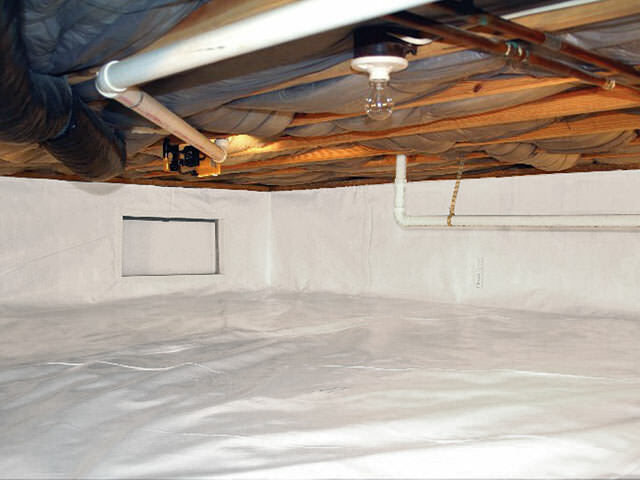 Very friendly and..."
Homeowners in Maple Grove, MN gained a basement waterproofing system through Innovative. The TEAM installed WaterGuard and a TripleSafe sump pump to ensure the basement stays dry. Homeowners in Maple Grove, MN called Innovative Basement Systems after finding water in their basement. A crew was quick to come out and install WaterGuard and a new sump pump. After searching online for concrete lifting, homeowner from Maple Grove, MN, contacted TEAM Innovative to inquire on lifting his driveway slab and back patio slab. System design specialist, Jeremy Olson, met with the homeowner, did a complete inspection of the problem areas and began working up an estimate for PolyLevel foam injection to lift his concrete back to original position. The homeowner was impressed with the information he gained through visiting with Jeremy and scheduled the job. Since completion - the homeowner is very happy with the results and even offered to be a referral source for any potential PolyLevel customers. Happy homeowner in Maple Grove! We believe water is leaking in from our foundation. Concrest driveway settling. Has been mud jack before. Main entrance sidewalk is becoming uneven. When it rains our basement has a musty odor. Home inspector found some bowing on an exterior garage wall. My driveway is cracking and shifting, after tapping on it with a shovel it sounds like there could be some voids under it. 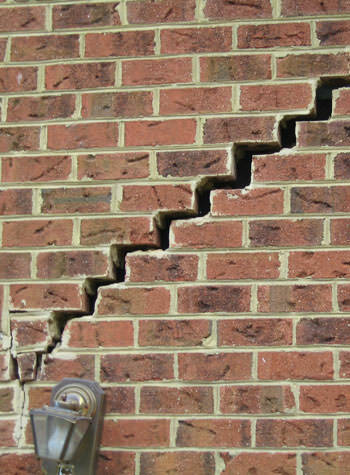 The PowerBrace is a patented foundation wall repair system that's designed to stabilize failing walls and provide the potential to straighten walls over time. If this looks familiar - please call 877-365-0097 today! After visiting our booth at the Home Improvement & Design Expo in Maple Grove, MN - Kellie S. made the decision to sign up for a free estimate on egress replacement. System design specialist, Eric Rysdam, met with Kellie and inspected her current egress windows & surround. Eric made recommendations for window replacement as well as a RockWell surround; and after receiving all of her estimates, Kellie called Eric back to pay her deposit and get the job scheduled. Upgrading your egress to code is probably one of the biggest aesthetic and energy efficient moves one can make to their home. If you are interested in replacing your egress OR adding an egress, call 877-365-0097 for TEAM Innovative today! Homeowners in Maple Grove, MN, contacted Innovative Basement Systems about waterproofing their home. We were the third company they had contacted. System design specialist, Dan Supan, visited the home and inspected the basement. In visiting with the homeowners, it was discovered that they were planning on remodeling to include a playroom for their son. Dan immediately recommended radon gas testing - along with a WaterGuard drainage system, a TripleSafe sump pump and CleanSpace vapor barrier to the walls. The homeowners were impressed with Dan and the solutions he recommended and the job was scheduled and completed without any radon mitigation needed! Another happy, dry & healthy home in Maple Grove, Minnesota! What do you do when you have a beautiful home you've invested in - and after a few years your concrete settles and you lose curb appeall? Homeowners in Maple Grove, MN wanted to finish off their basement but knew they needed to waterproof the area first. They contacted Innovative to discuss their options. The TEAM then installed a WaterGuard draining system and TripleSafe sump pump. After the waterproofing was complete, Innovative finished off the basement using Total Basement Finishing. The homeowners are now enjoying their dry and comfortable basement. A family in Maple Grove, MN was experiencing water seeping through their basement floor when Innovative Basement Systems was called to assess the problem. It was then their System Design Specialist saw that their basement was lacking a waterproofing system to keep up with the heavy rain and snow that many Minnesotans and North Dakotan's face today. The crew installed a TripleSafe pump system along with IceGuard to prevent floods from a frozen discharge line, WaterGuard Port for access to the system, and WaterGuard sub-floor drainage system. After 3 years the basement has not flooded, or taken in water leaving it dry, and clean for whatever the family needs. Back patio has settled towards the house, allowing water to drain towards the foundation. I would like a quote to get it fixed/lifted. I do have water coming up through part of my basement floor due to all of the water in the ground I believe. There are not cracks and it is not coming from the walls rather just the middle of the room I do have everything dried out in time but obviously do not want this to be a conitnuing issue I did have standard water control come out to give me an idea but he did not give me much except to sell me on replacing everything with sump pump, drain tile, ect. I have to believe there is a better solution and curious on your thoughts. In a corner of my garage a portion of the apron and slab, the concrete block that make up my foundation has collapsed. There is sand there that has washed away. I am told that it is a foundation issue. Have a concrete seam/ crack leak onto unfinished basement form. We found a leak between the top of our foundation and the front porch concrete pad that has been letting in moisture for some time and has started molding. It is a small area, but needs to be fixed properly to avoid any future issues. Unfinished basement. Have some questions about my foundation after I have demoed my basement. I have a leak in my basement. I had it taken care of with new gutters, but it recently started to come in again with heavy rains. I would like a free estimate of repairs. Home is shifting slightly. Cracked block. Damp basement. Built in 1964.